When is the best time to spray and how long should my dogs be kept inside? The best time to spray is when the weeds are fully mature. 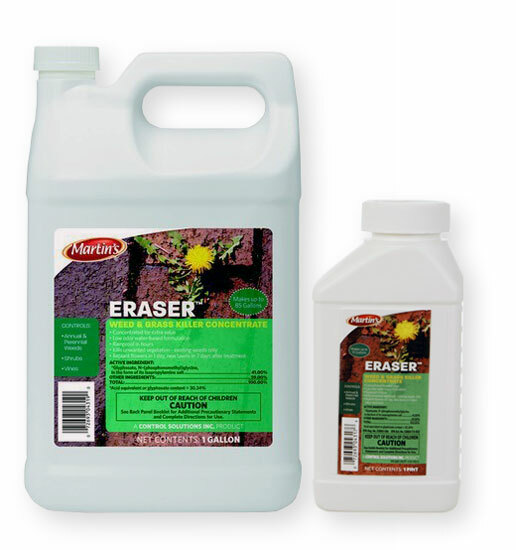 Since Erasure is a Glyphosate product, it will not kill immature or newly sprouted weeds, only mature weeds. Also, do not mow or cut the weeds first and then immediately spray them. Make sure that the weeds are fully developed and fully leaved, then spray. The time of the day won' t really matter. Be sure to keep animals and people off of and away from the treated areas until completely dry. Other than that, just reapply as needed.